Guana is a relatively small island (about 340 hectares and 246 meters high) in the British Virgin Islands of the greater Puerto Rico Bank. 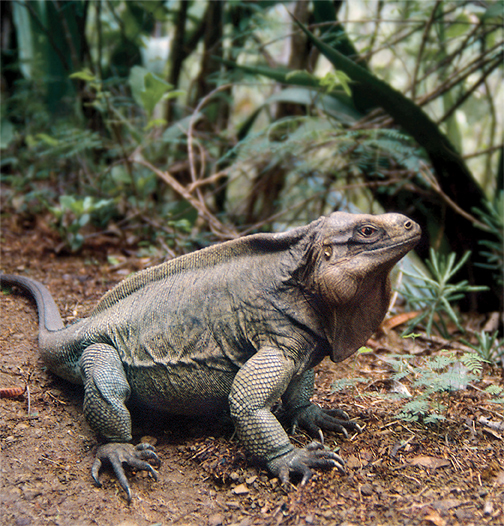 Guana has from three to ten times more species in every category of life forms than predicted by biogeographic theory. The lists below are culled from Lazell, J., 2005: Island: Fact and Theory in Nature (Publications), but many had other authors and all have been trimmed of detail. The book should be consulted for these data. There have been some additions since and not all areluded here. It is our plan to periodically update these lists. Guana is a site of active, ongoing research into all aspects of the biology and ecology of its inhabitants, but the simple listing process is demonstably incomplete: we add species every year. More details, including annual reports, are available. Contact Us if you believe you can contribute to the understanding of the biodiversity of Guana Island and beyond.